The next issue of Airgun Hobbyist magazine is scheduled to be mailed immediately after Christmas. This looks as if it will be another excellent issue! 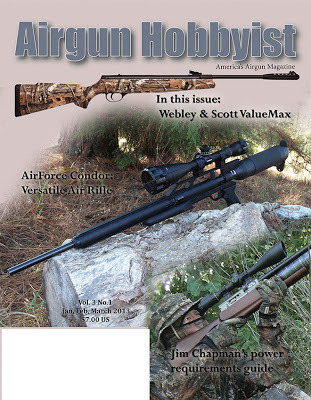 You can order Airgun Hobbyist magazine online. A subscription makes a great present!